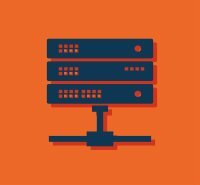 Are you a small business owner looking for a reliable hosting provider for your business website? Perhaps you need a hosting solution that would make it easier to get started online? We have several articles and guides to help you choose the right web hosting services. In this quick guide, we’ll discuss the hosting provided by one of the biggest names in online retail, Amazon. Read on for an overview of the main features of Amazon web hosting and tips for getting started. Are you new to web development? That’s not a problem with Amazon’s self-paced website creation labs. With Amazon’s web services and its pre-configured solutions you’ll get your website up and running in no time, regardless of your experience. A range of tutorials are available to help you develop your small-business website. There are also recorded webinars to help you build web applications and run them on your site. WordPress, Joomla and Drupal are supported as well and can be easily launched. Amazon hosting supports various site-building platforms, including WordPress, which offers an easy way to create your first site through beautiful templates. WordPress is an open-source blogging tool and content management system (CMS) designed to make it easier for anyone to create a website with a clear layout. It can be used as a reliable infrastructure for personal blogs as well as high-traffic websites. Installing WordPress on your Amazon Web Services is as easy as getting a free add-on software from the AWS Marketplace, Amazon’s web app store. Users are then able to launch a virtual server pre-installed with a web server, database and a WordPress application code. Amazon Web Services is a flexible web hosting solution and can support a range of development platforms, including Java, Ruby, PHP, .Net, Node.js, and more. Development tools and preconfigured deployment templates are provided to help you work with applications written using any of these platforms. This is an important part of the Amazon hosting service. It allows you to use the application development platform you are most comfortable with instead of worrying about compatibility. When assessing a web hosting provider, it’s important to check whether the package you are considering can scale with your business as it grows. Amazon uses an auto scaling system to respond to the various fluctuations in web traffic. These fluctuations can be a common experience for online businesses, especially online retailers who sell most of their products at particular times of the year. With auto scaling, your site will maintain its level of performance during high spikes in traffic and will decrease capacity during more peaceful times, in order to reduce costs. Auto scaling is suitable for websites with relatively stable traffic patterns, as well as sites with high variability in usage. Who Uses Amazon Website Hosting? Amazon’s web hosting is a popular choice among many small businesses. In addition, some household names also use Amazon Web Services to support the online aspects of their business activity. For example, Unilever uses Amazon cloud hosting for its online marketing and backup services. Netflix is another famous customer of Amazon hosting, using it to deliver instant high quality video streaming to its customers. Amazon Web Services offers many tools and features to help new website owners get their site up and running. However, it is far from being the only hosting provider available. When choosing a provider, make sure you read reviews of several companies and only then decide which one can best meet your needs without breaking your budget. Now that you have an idea of what Amazon Web Services has to offer, see how some of the other top web hosting providers compare.